turtle, originally uploaded by jahansell. More you do, more you want to do...I am not sure about my "English" sentence but I hope you understand what I mean about physical energy! How wonderful to have turtles so close up and personal. Very nice photograph. I have to travel a long way to see a turtle. I like the water effect! 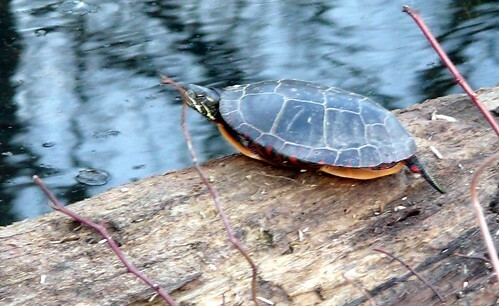 It always amazes me that turtles can survive the icy, snowy winter. Where do they go?